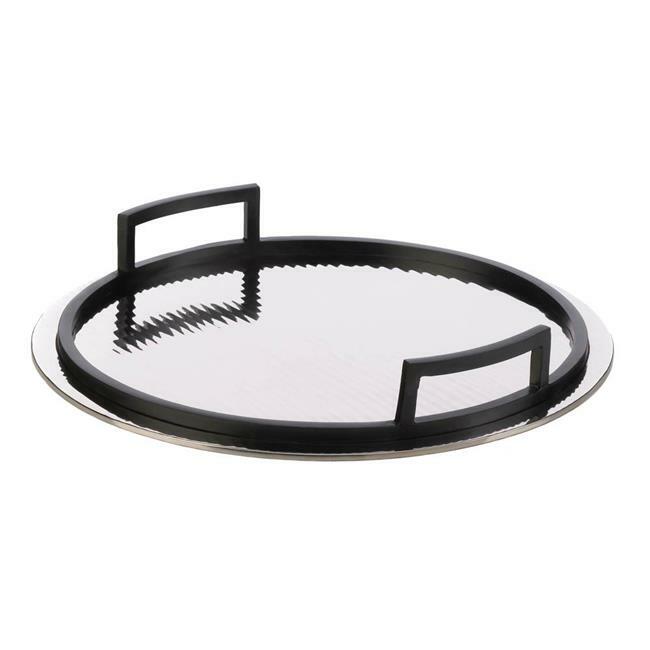 Pair up this circular serving tray with our rectangular tray for larger gatherings. Perfect for displaying on an entryway table, vanity, ottoman or for serving your guests. Elegant and sturdy enough to carry your cocktails from room to room! Constructed of mirrored aluminum, with rippled effect bottom and black accents.